48th Northwest Control-Line Regionals, Roseburg Regional Airport, Roseburg, Ore. 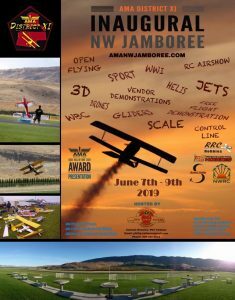 The Jamboree will be held on June 7-9 2019 at the Wenatchee Red Apple Flyers (redappleflyers.org) in East Wenatchee, Washington. RV and tent camping is available. 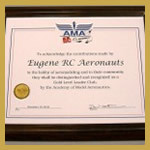 Visit www.redappleflyers.org for more information about the flying field. Fun Fly n Swap, Sat. June ?? McMinnville Aircraft Modelers Swap Meet 2019, Yamhill County Fairgrounds, McMinnville, Ore. We wish we had more tables , because we are already SOLD OUT . Swap Meet on Saturday, March 30.